Chevy Sonic: The Chevrolet Orlando loves! Put Your Tax Refund to Good Use & Buy Yourself a New Chevy! 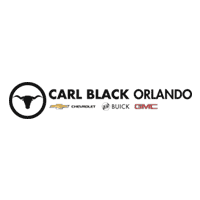 Chevy Pickups – Celebrating a Century of Unmatched Dependability here in Orlando! The All-New Buick Enclave SUV is More Luxurious Than Ever! Test Drive the Striking & Refined 2018 GMC Terrain here in Orlando! The Technologically Advanced & All-New 2018 Chevy Equinox is Available here in Orlando! The New Chevy Silverado 1500 is a Hit with Pickup Enthusiasts! Luxurious Buick Models Are Sure to Impress! GMC: What Is a Denali? 4.5 Million Miles Driven by Chevrolet Bolt EV Owners, and Counting!